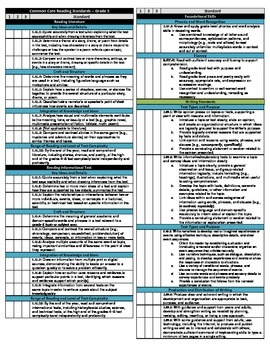 Trimester checklists for the Common Core Math and Reading Standards and the Ohio Revised Science and Social Studies Standards for 5th grade. The file come with all the individual checklist bundled together. 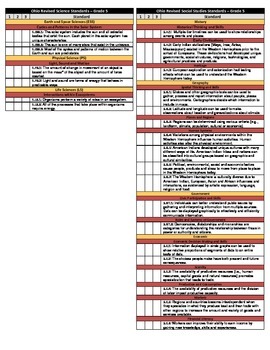 Use these checklist to keep accountable of standards taught during the year. 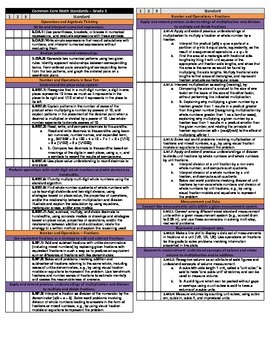 Also be able to quickly glance at all the standards in one checklist. These are extremely helpful when completing progress reports and report cards.